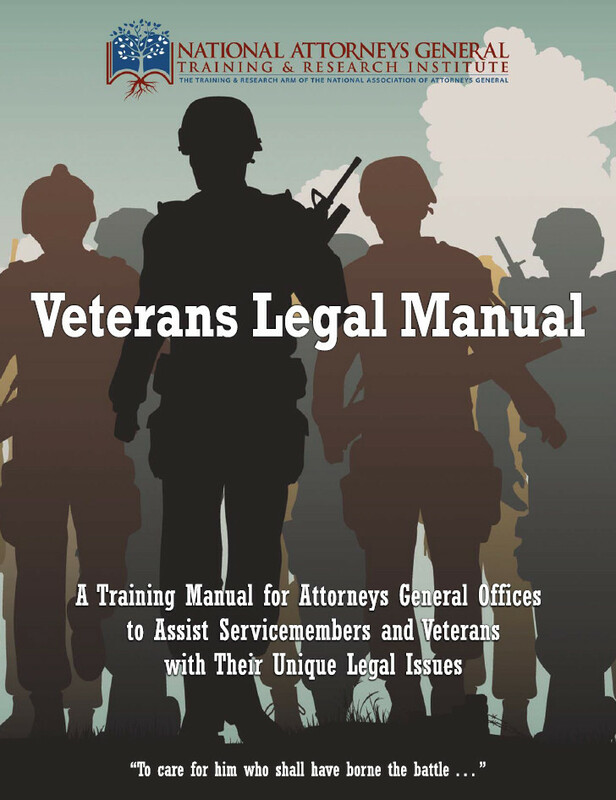 This manual is meant to give a concise overview of some of the major legal issues faced by military servicemembers, veterans and their families in broad areas such as litigation, consumer protection and employment. This manual is meant to give a concise overview of some of the major legal issues faced by military servicemembers, veterans and their families in broad areas such as litigation, consumer protection and employment. It provides a valuable jumping-off point for attorneys general and their staffs to perform their due diligence in particular cases.